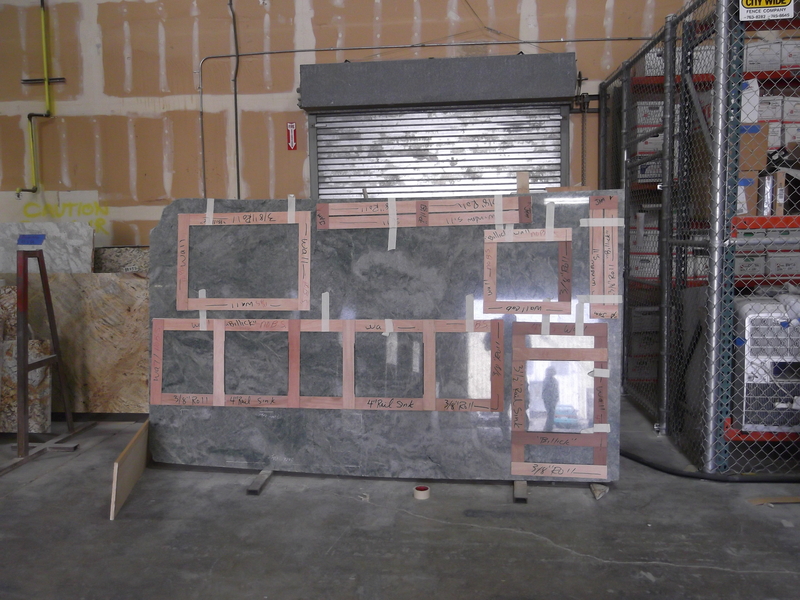 This morning we drove 45 miles to Woodinville to determine how our green granite slab would be cut out for counter tops and window sills. We’re looking forward to seeing this stuff in place but that’s a couple of weeks off yet. After seemingly endless design meetings and looking at countless tile samples our huge bathroom remodel is underway.